In the National Park “Las Cañadas del Teide” at 2,200 m of height, our climb begins on the not too steep, “Montaña Blanca” path. After about 1,5 hours it will start to get a bit more challenging. Rampant serpentines lead the way up to the mountain shelter “Refugio de Altavista”. We carry on walking through bizarre lava fields up to the level of the cable car station on about 3500 meters. 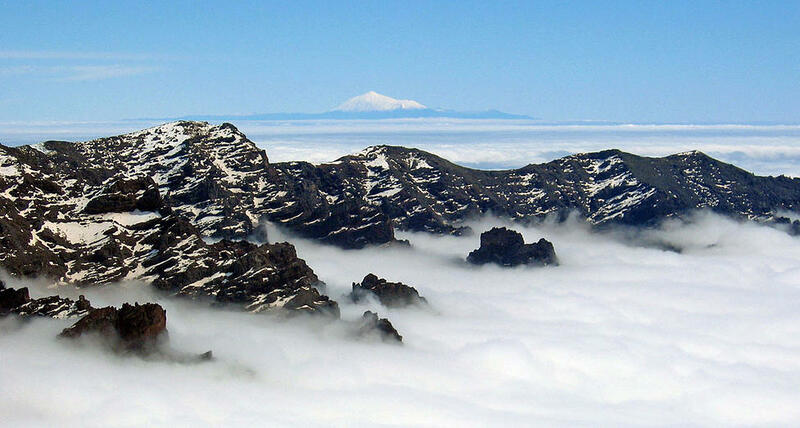 From the peak of the highest mountain in Spain we have a unique view of Tenerife and the other Canary Islands. After walkin down from the top of the volcano to the level of 3550m, we descent by Cable Car from the Mount Teide and return to our hotels. If the Cable Car will be closed we will have to walk down by ourselves what could take us 3-4 hours. Sure footedness and solid shoes are necessary! For those with children 5 to 11 years and who is not fit enough to hike all the way we have the option to use cable car and start from the altitude of 3550m climbing to the top on 3718m. 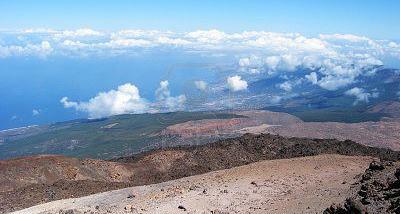 The tour price includes a special permit you need to get to the peak of the Mount Teide. Because the number of permits is quite limited and tour is popular among experienced hikers we ask you try to make your booking at least 3-4 weeks before you go. Please, send us with your Booking Message also your Names and Surnames as in the passport as well as the passport nrs (or national ID cards nrs, if you’re from EU country) – we need that to prepare your permits. 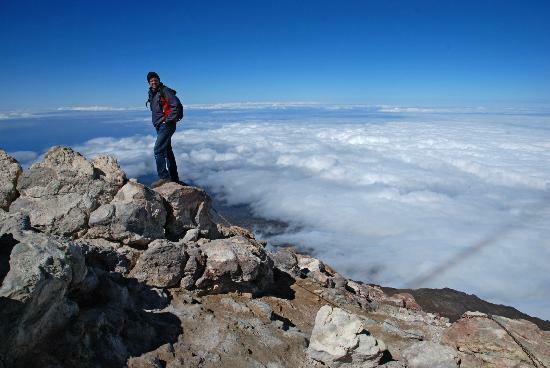 In order to make your booking of MOUNT TEIDE PEAK Hiking Tour in Tenerife easy and comfortable Tenerife Host use the most advanced and user friendly booking platform TripsPoint.com where you can easily check last actual prices, the tour availability, required booking deposit and book this tour. 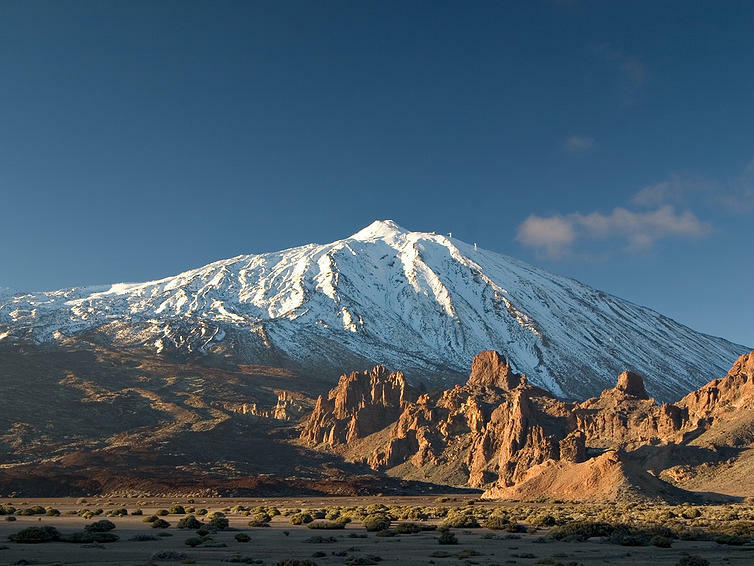 To get more information of MOUNT TEIDE PEAK Hiking Tour in Tenerife and do booking, please, click the button ‘Book Now’. You will be taken to the tour page at TripsPoint.com where you can easily book the tour. 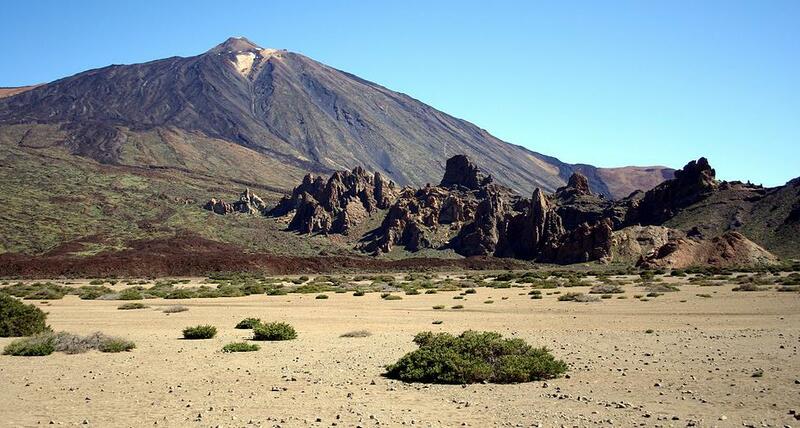 Once the booking of MOUNT TEIDE PEAK Hiking Tour in Tenerife made at TripsPoint you will get your tour Voucher / booking confirmation with all details, including exact pick-up point, pick-up time, pick-up point map. Children up to 11 years are not permitted. The price include transfers, the trekking tour with guide. * Cable Car is not included. Cable car one way tickets costs 13,50 EUR per adult. ** For the safety reasons the Cable Car do not operate in windy days.